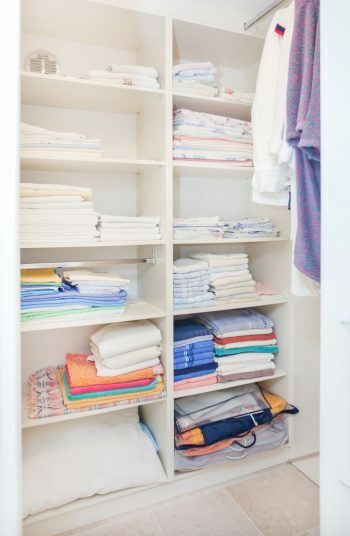 › clean freak › Cleaning › Organize › Is Your Linen Closet Organized? When you open your linen closet, are you always on guard in case something falls out? If so, you need better linen closet organization. Because opening the linen closet should give you a feeling of satisfaction about how easy it is to see and grab what you want, when you want it. Anything less is just not right. Let’s get to it! Begin by decluttering the linen closet. And be honest with yourself. How many sets of old sheets are you really hanging onto? Pull everything out and get rid of what you don’t use, is in disrepair, or you just really don’t like. Now you can start fresh! Consider adding shelf liner to your linen closet shelves if you don’t have it already. Did you know that melamine shelves, and certain types of paint can actually discolor your sheets and towels over time? It’s true. To avoid that, line the shelves. Or use scented drawer liners for a nice touch! To completely rock your new linen closet organization, sort and organize all your linens by type before you begin putting everything back. 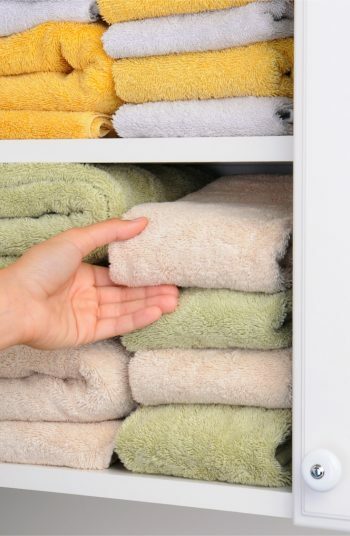 The items that are used most frequently, such as towels and your favorite bed sheets, get to live in the front of your linen closet where they are easily accessible. Items that are used less frequently, such as table linens, should live on the upper shelves or in the back of the closet. 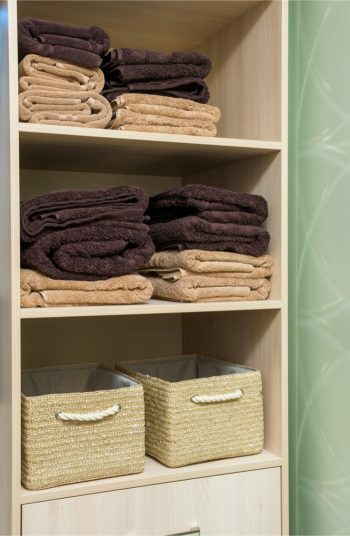 Use baskets and bins to help organize smaller items like wash cloths and hand towels. The next tip for linen closet organization is genius. 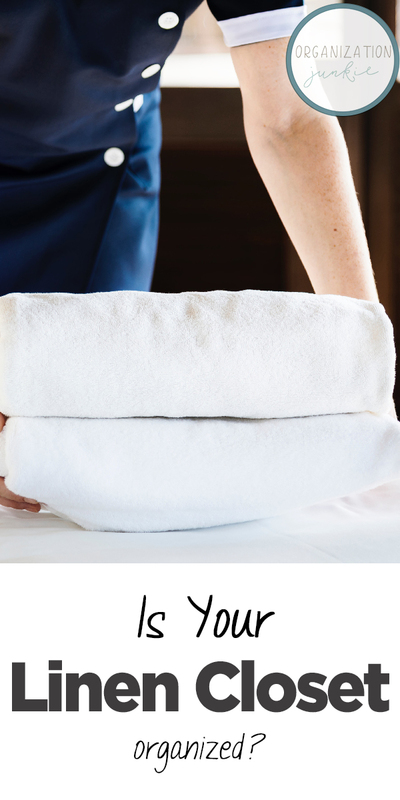 Instead of storing your sheets and pillowcases separately, which only leads to spending valuable time searching for lost pillowcases, fold the sheets and one pillowcase together. Store the whole set inside the other corresponding pillowcase. The next time you want the blue-striped sheets, just grab the pillowcase with everything packed neatly inside it. 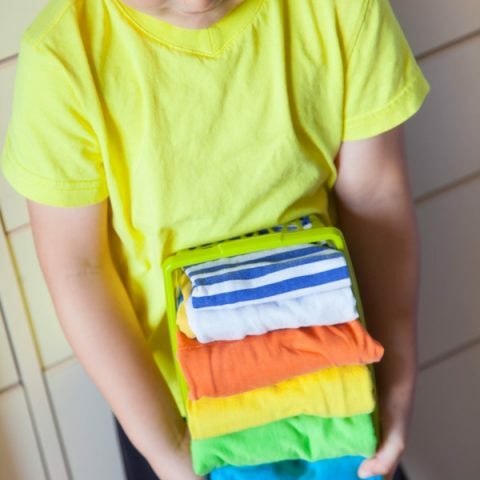 Use these simple steps to implement better linen closet organization–and it shouldn’t take you more than an afternoon. Good luck!